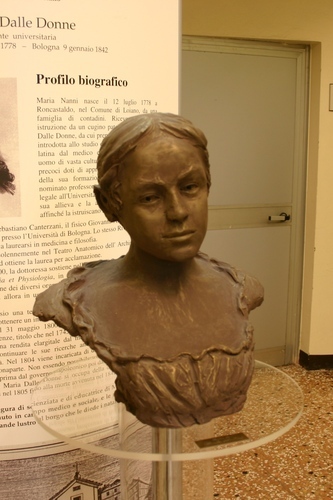 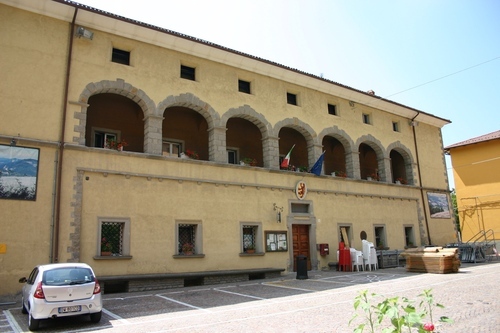 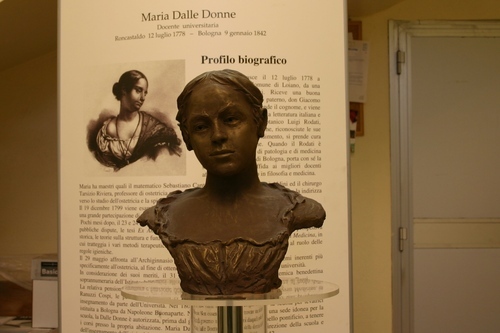 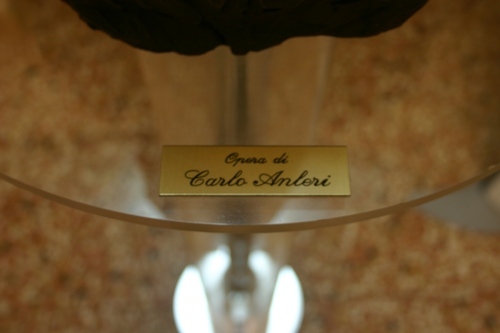 This bronze bust of Maria Dalle Donne, by Italian sculptor Carlo Anleri, can be seen in the lobby of the Municipality Hall of Loiano. 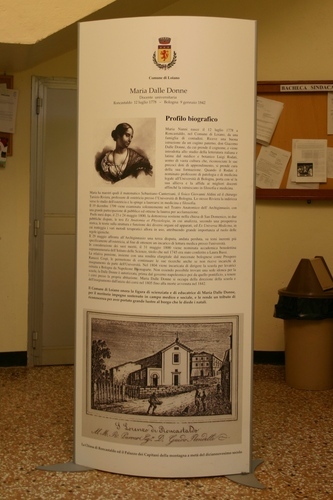 The little monument is accompanied by an explanatory panel by Giovanna Gironi that tells the story of this pioneer woman physician. 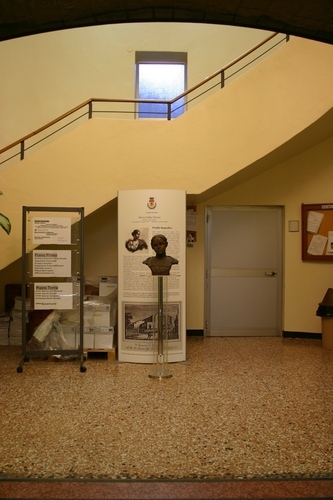 Photos by Luca Borghi ti.supmacinu|ihgrob.l#| (July 2013), courtesy of Prof. Giovanna Gironi and Dr. Eugenio Nascetti.